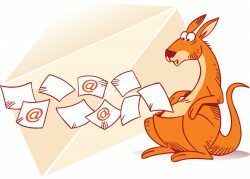 This post is about what to consider before choosing an autoresponder or email marketing service. I also discuss free vs paid autoresponders. Two common questions are: what is an autoresponder [AR] and which is the best one to use. An AR is an email tool. Businesses use it to send automated announcements and newsletters to boost sales and build customer relationships. The tool can be used to capture new leads for growing email subscribers lists. I do not know of any successful online marketer who does not use an autoresponder. Some services you might want to check out are: Aweber, GetResponse, Constant Contact, ConvertKit, Drip, iContact, Mad Mimi, MailChimp, MailerLite, ReachMail, RocketResponder — to name a few. The main question is: Which AR service will best suit your requirements? As most services offer a free trial period, you might want to test a few. There is a learning curve with all of them. I use Aweber and have also used TrafficWave and GetResponse. TrafficWave appeals to multi-level marketers and users of Traffic and Ad Exchanges, Safelists. It offers an in-house MLM matrix opportunity. GetResponse caters to small business owners that sell consumer goods and physical products to a repeat customer base. Aweber (my preferred choice) is popular with internet marketers who promote digital products and services, affiliate programs and online business opportunities. Be clear about your purpose. Are you online as a hobby or is your goal to build a real business? How professional do you want to appear? Are you communicating to follow up with existing customers, or do you want to build a list to invite new customers? Think long-term. Your subscriber list is a valuable asset. Automation is helpful, but do personalize your messages. You don’t want readers to feel that a robot is sending your messages. Marketing suite programs usually include their own in-house autoresponder. No matter which service you use – third party or a marketing suite tool – always backup your subscriber lists. With a marketing suite program, it might be a hassle to take your list with you should you decide to leave, or the program closes. You can offset that risk by backing up your list names and email addresses to your computer or an external drive. You never know when you might need to export or manually add the list to another service should that become necessary. There are alternatives to using a third party service. One is to set up an autoresponder script on your own server. Another option is to use the service provided by your hosting company, if it offers one. Not all do. Be aware of the risk. Your ISP or hosting service could shut you down if anyone complains about your emails. People do that sometimes even when you have done nothing wrong. That is why most marketers prefer to use a third party service. Some people join an AR service solely for its affiliate program and commissions. TrafficWave is an example. Many marketers who promote it might not even use the service. From a business perspective there is nothing wrong with this – if it makes money, it makes money! Unless you have decided to make ‘autoresponder services’ your targeted niche, my advice is to consider commissions a bonus and not the basis for joining a service. The priority is to ensure that the service provides all the features that you need in the long term. If you like it, you can join their affiliate program and refer others to offset your expenses. I’ve used different services over the years and they have been generally satisfactory. I started with TrafficWave because it was required by another program I was in at the time. It was reliable and got the job done. One day the program that required me to use TrafficWave closed and I decided to leave. As far as autoresponders go, TrafficWave has a lucrative referral program with a 3 x 10 matrix compensation structure. It is considered to be a legitimate MLM program and has been around since 2000. I’m not a fan of matrix compensation structures. They are extremely hard to fill. If you are a devoted MLM marketer and power promoter, you might as well use a tool that has the potential to pay out the highest commission rate. Or you might consider using TrafficWave simply because compared to some of the competition it costs less plus has a flat price that does not increase with the number of subscribers. I currently use Aweber and am happy with it. You really only need one service that enables multiple campaigns. Generally it is less risky to use a third party email delivery provider such as Aweber, GetResponse or TrafficWave where the core service is email marketing software and the companies have been around for a long time. These three services are internet marketing friendly, whereas some services prohibit members from using mlm or affiliate marketing campaigns. Marketing suite programs such as GVO, NPN, AIOP and others include their own internal emailing systems. The advantage is having all of your tools in one place. Bear in mind that with marketing suite programs, the core service is usually not email delivery. Their investment in developing and maintaining that part of their service may not be as high a priority as a company that exists solely for that purpose. I have had good and bad experiences with various marketing suite programs. Do your due diligence before joining. For example, with marketing suite programs, always check that they will allow you to take your list with you should you decide to leave the program. Ask what is involved to make sure they don’t make you jump through hoops to do it! For example, the free account at Mad Mimi and MailChimp will not enable you to set up the autoresponder component of the system. Mailerlite, which offers a free service, prohibits affiliate marketing. Their policy distinguishes between affiliate marketing and affiliate links placed under your own branding. I quote from their website: “because there’s no direct relationship between you and your subscribers”. MailChimp also does not allow the use of its autoresponder for affiliate marketing. From my perspective, an autoresponder is about building relationships. You may or may not have a direct relationship with your subscribers, especially at the beginning, but you could build trust with them through ethical email practices and providing value with your content. Free services want to make money too and may do so by including advertising inside your email messages. Some promote their own services but others will place paid ads in the footer or at the end of your message. Such ad placements can distract subscribers from focusing on your message. You will have no control over what kind of ads are placed inside your email. This can make you look less professional. Free services are more likely to attract spammers, which may reduce the delivery of emails. They generally do not provide good statistics, which are invaluable aids in marketing. You want to know that your emails will reach your subscribers. Free services may ask you to join other programs before you can use their autoresponder. Or they do not have the features you will need down the track as your subscriber list grows. 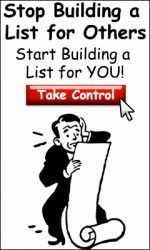 There might be a risk that you will lose your list should they go out of business. The bottom line is this: It is hard to appear professional when using a free autoresponder service. They turn to using a bulk email delivery delivery service. Such services usually charge a fee based on the number of emails sent. If your website is new and you are only collecting email address for use with a future autoresponder service, then an email capture plugin might be useful. Be aware that internet service providers tend to block bulk email suppliers. Make sure you find a reputable service. Think about your long term needs when choosing a service. Once you build a loyal subscriber list with one service, it is not always practical to import or transfer them to another service. Nice to see you here! Thanks for visiting my blog and your kind feedback. A free auto responder is a great to quickstart your way to online profits. I have used list wire didn’t like it much. Am still using TW and also using GVO which has been ok getting to know how to use. It is half the price to use but I feel not as good as TW. Excellent write. I didn’t do much email marketing (actually none at all) years back and that is probably the biggest regret I ever have. My first experience was with AWeber (auto responder I mean) and it was nice. Setting up was easy and knowing that my readers are going to get those emails is definitely a good sign of relief. Thanks for your feedback. I guess many of us could say we wished we started building our subscriber lists sooner. Your comparison post between Aweber and Get Response is Awesome and will enable people to make an informed decision. Great to see you again. I saw your link on Adrienne’s blog and knew I had to check it out. Nice work! I remember reading Reginald’s post on the comparison between the two autoresponders but I read a getresponse review not long ago and its service is really worth giving a try. You know? The money is in the list and the most expensive mistake bloggers (especially newbies) make is building it at the wrong time or not building it at all. My personal preference is Aweber. I also use GetResponse, which I had to learn quickly in order to manage email marketing for one of my local business clients. I find both autoresponders reliable, but my linear-thinking brain is more relaxed when I’m working in Aweber. Isn’t it great that we have a bit of competition and several choices of reliable autoresponders. Whether Aweber or GetResponse, I don’t think anyone would go wrong with either one of those. You are spot on in saying that a common mistake by new marketers is not building a list at all, or waiting too long to get started with it. Although for new marketers it is important to build website traffic first. I appreciate your feedback. Thank you for visiting and commenting. I look forward to dropping by your site soon. 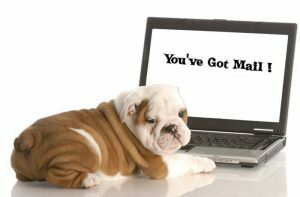 Email marketing is one of the most reliable online business models – if you have a list, you have a business, if you don’t have one… well you need to build it! Art, I agree that having a list is a must for an online business these days. Thanks for visiting and taking the time to leave a comment. I appreciate it. Learned a lot from your post. I’m using the responder at NPN because I’m a member there. It’s okay, but took me long time to figure it out and I still don’t understand some of it. I like your site. Be back later to read more. MailChimp and Mad Mimi don’t include the autoresponder in the free plans. I also appreciate the heads up about the CL plugin. The issue is that my host has not enabled cURL on the server. I’ll have to see if I can find a workaround. It works at my end but not on the visitor’s end, which kind of defeats the point. I like the plugin, but I like my current hosting more, and unless I can find a solution, I might have to discontinue using that plugin. Awesome post! I have mailchimp right now but I uninstalled it. I wasn’t comfortable with its layout so now I’m operating a site without an autoresponder. Thanks for this article! I’m going to try your recommendation and see how it works! There is an inevitable learning curve with any autoresponder service. Take comfort in knowing that it’s easy once you know how to use it…lol. If you need help with it, let me know. Great post with some valuable information that has given me some food for thought. Glad you found some useful information, Paul. I appreciate your stopping by and your feedback.